Gary Oldman Joins “Akira” Cast. | The Cineaste's Lament. ← Johnny Depp Opens Up On “Near Death” Plane Flight. Gary Oldman Joins “Akira” Cast. … has joined the live-action adaptation of the legendary Japanese dystopic anime flick. 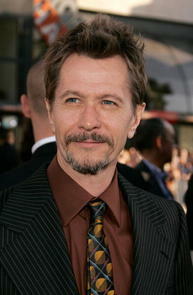 “The advance accolades for Gary Oldman’s work in Tinker Tailor Soldier Spy has put the actor in high demand. He’s Warner Bros’ choice not only to play the role of The Colonel in Akira (Garrett Hedlund will star in one of the two leads in the Jaume Collet-Serra-directed film), but also to play Merlin in Arthur & Lancelot, which David Dobkin will direct from his own script. This entry was posted in action, Akira, Akira live-action remake, Anime, Film News, Sci-Fi, Spoiler-itis and tagged Akira, Akira Live-Action Remake, Gary Oldman. Bookmark the permalink.